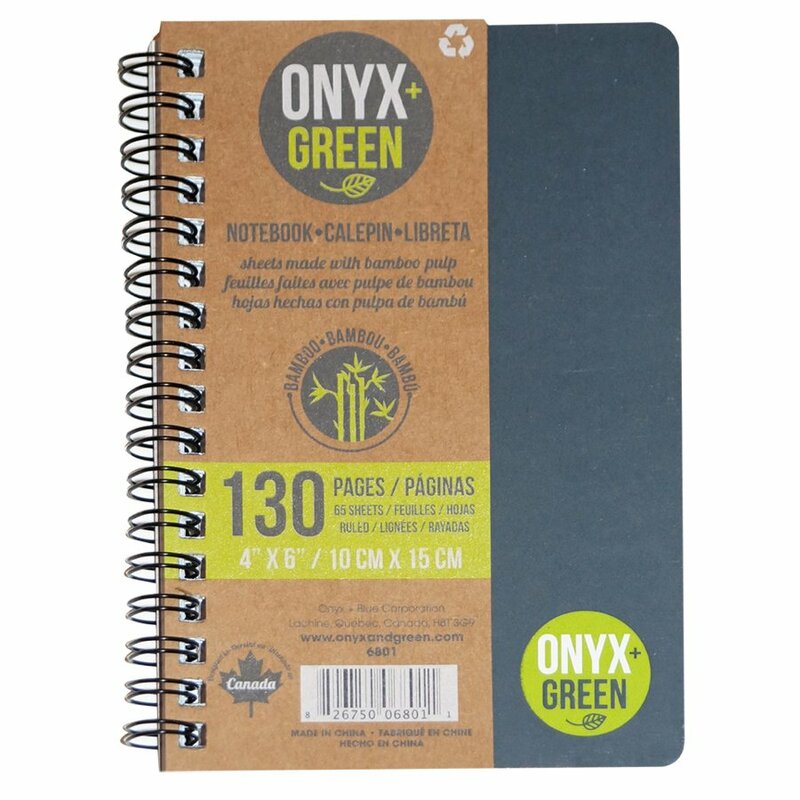 An approximately A6 ruled notebook that is bound with a double metal side coil and has a recycled kraft paper insert sheet. The paper is made from bamboo, which is the fastest growing plant on earth. Please note only one notebook is included. 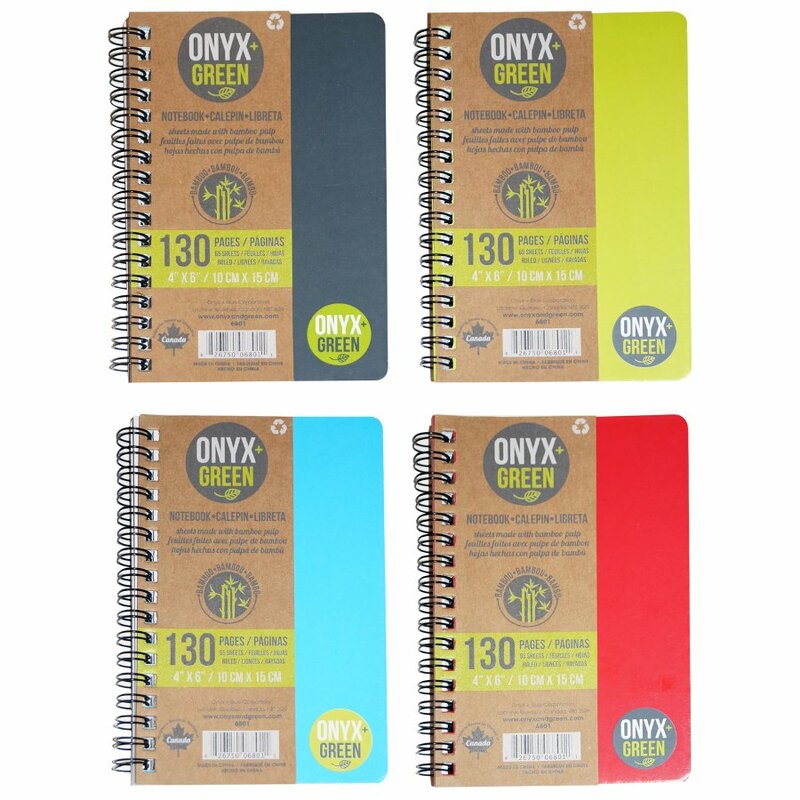 The A6 Bamboo Paper Notebook - 65 Ruled Sheets - Assorted Colours product ethics are indicated below. To learn more about these product ethics and to see related products, follow the links below. 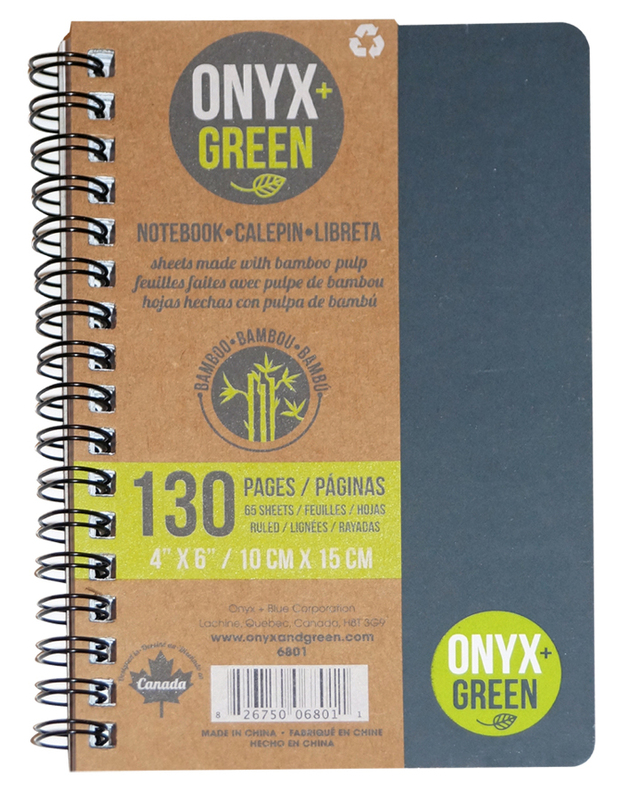 It's a sweet little feel-good notebook, with a nice number of pages and of good quality. I love that the pages come from bamboo! 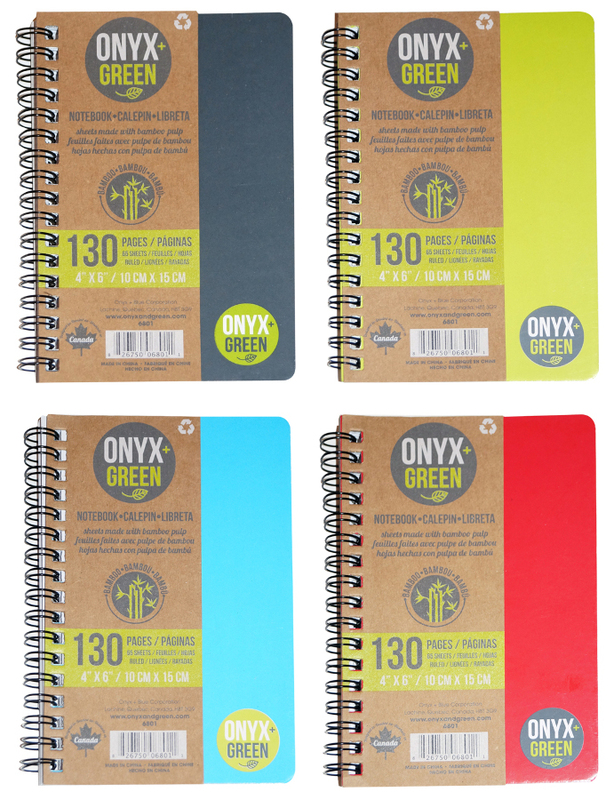 There are currently no questions to display about A6 Bamboo Paper Notebook - 65 Ruled Sheets - Assorted Colours.